This little environment is loved by children and parents alike as these intuitive creatures will help with any uncertainties they may have. 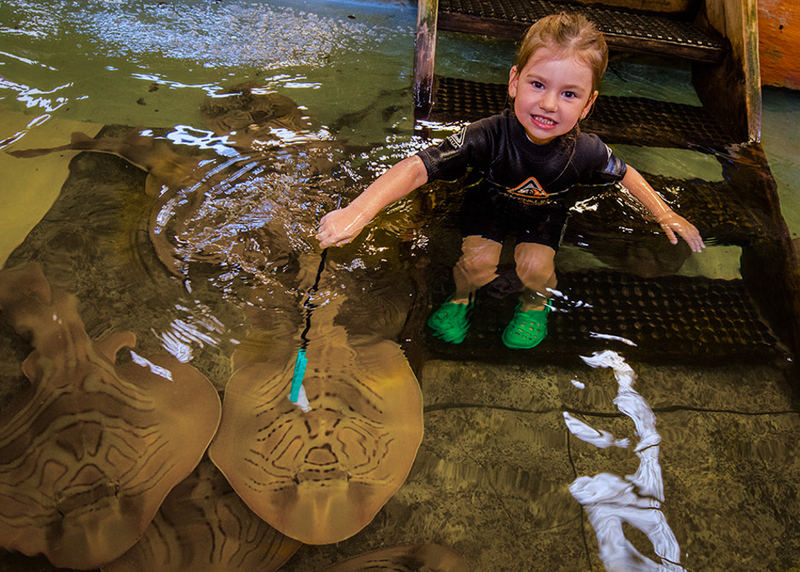 Along with promoting beach cleaning every day and participating in Stockton Beach cleans without fail, the aquarium recently assisted the University of Newcastle complete a study on the effects of magnets and sharks. The study was performed to see if magnets would deter Benthic Sharks species from demersal traps set by fishermen. A big part of Irukandji’s role is to spread awareness on many vital ocean issues. Many of our visitors have never heard of ocean acidification, they do not realize Flake is shark and ray meat and it carries toxins that build up in the human body, let alone the sheer extent of the extinction rate because of unsustainable industrialised fishing. Not to mention the fact nearly every big river in the world has a dead zone at the end of it from our anthropogenic activities. Spreading the word about the rise of the era of the jellyfish now that we have over fished all their natural predators? For those of you soaking in the knowledge please visit our Elasmopage for some more ocean appreciation.